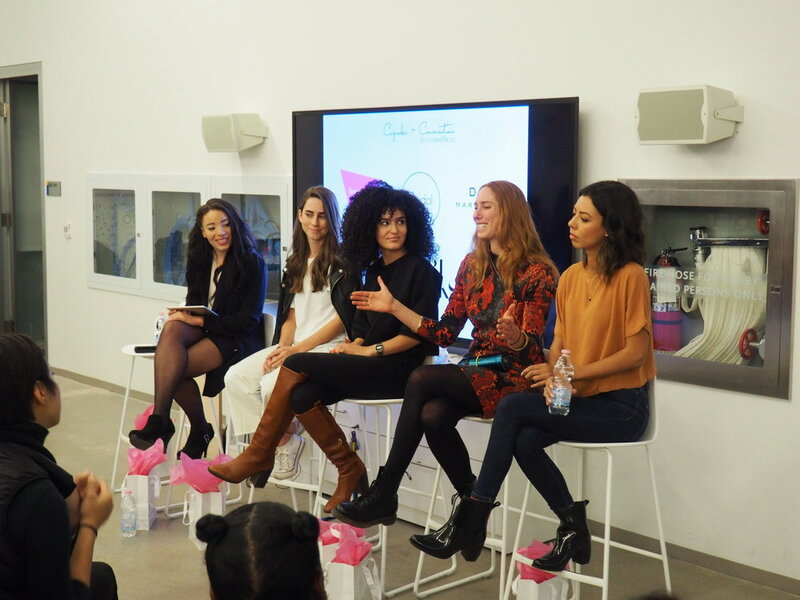 Two years ago we launched our signature event series, MASTERCLASS by curatedlife.ca. Its purpose is to provide millennial women entrepreneurs with the skills/resources to build a prosperous business and an empowered life. We learn. We hear. We create. 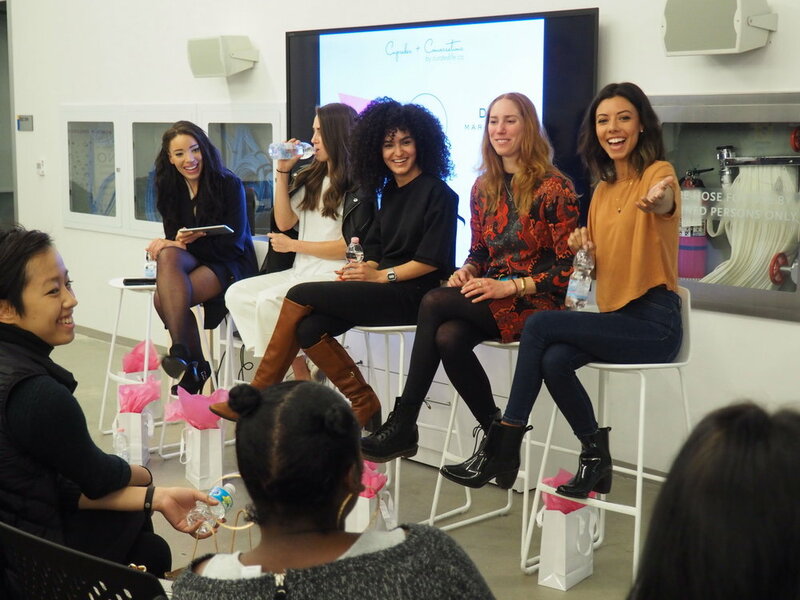 The first MASTERCLASS of 2018 was an extended event; complete with a #BossBabesNightIn. 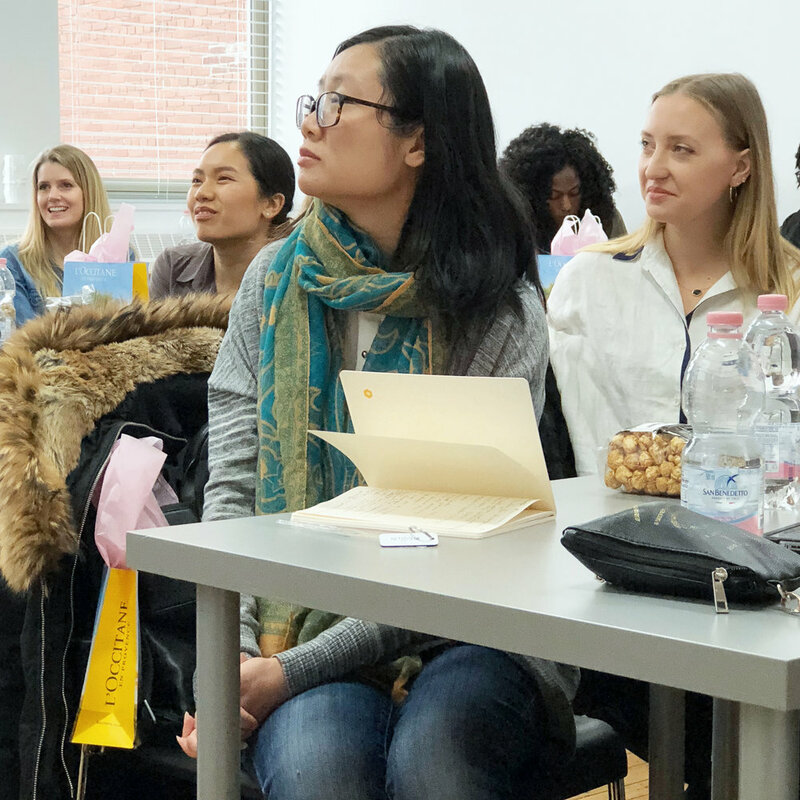 During this MASTERCLASS, we learned about design thinking and how entrepreneurs can use this methodology to create innovative solutions or products. We discussed the design process and examples of well-designed brand experiences. We also discussed the importance of making products or services human-centered and ways to empathize with your product/service users. During the second portion of the event, we learned how to turn our dreams into goals using the S.M.A.R.T. acronym (an ode to our very first MASTERCLASS). 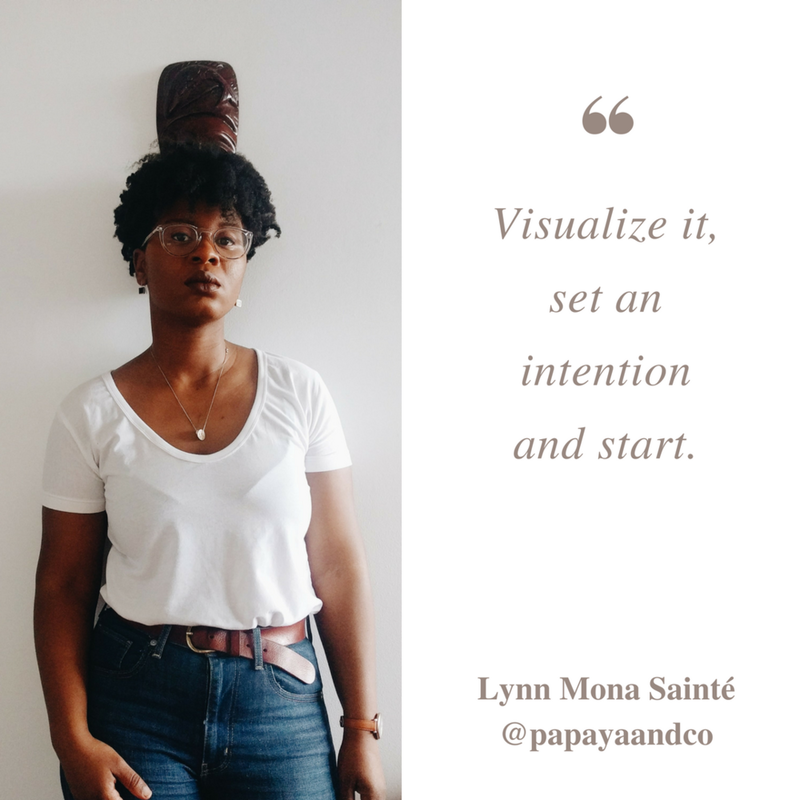 We went from creating mood boards to listing our goals on whiteboards based on “Your Guide to a Boss Babes Night In” (page 22 of issue 4). The session was made complete with refreshments courtesy of Panago Pizza and Toronto Popcorn Company. Panago Pizza provided us with a variety of unique pizza options. My personal favourite was the Veggie Mediterranean complete with fresh passata tomato sauce, fire-roasted tomatoes, kalamata olives, red peppers, baby spinach leaves, red onions, feta and mozzarella – yum! 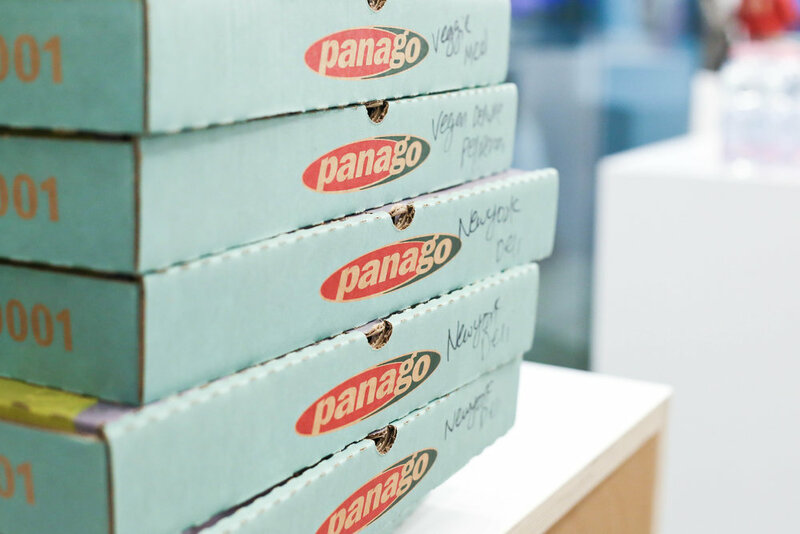 You can order Panago Pizza by dialing 310-001 or online here. 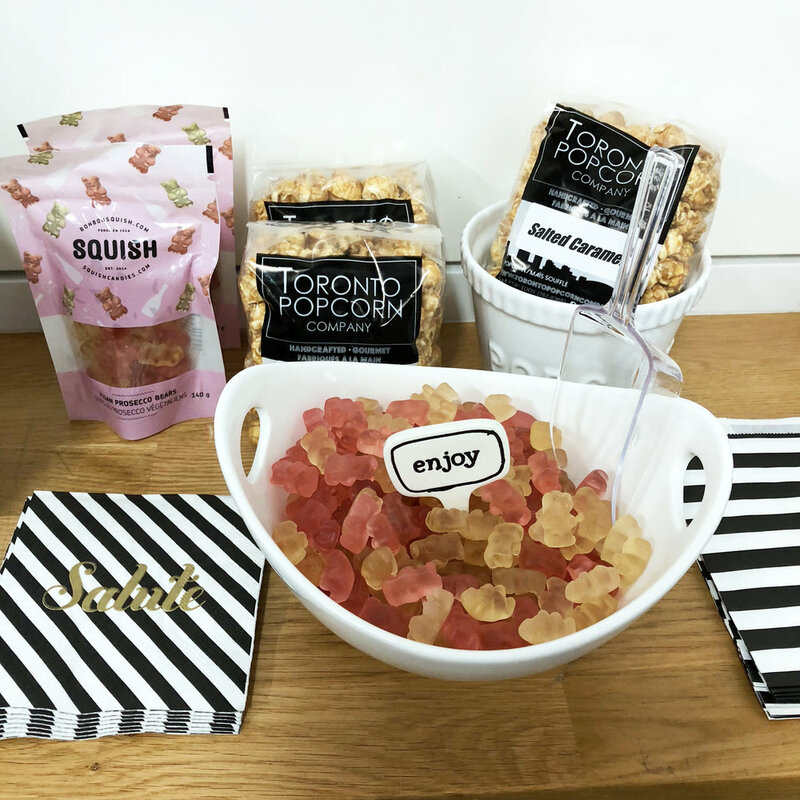 From Toronto Popcorn Company, we enjoyed their delicious salted caramel popcorn- the perfect sweet treat to top off the night. This flavour combines classic caramel with a pinch of palatable saltiness that is hard to resist. 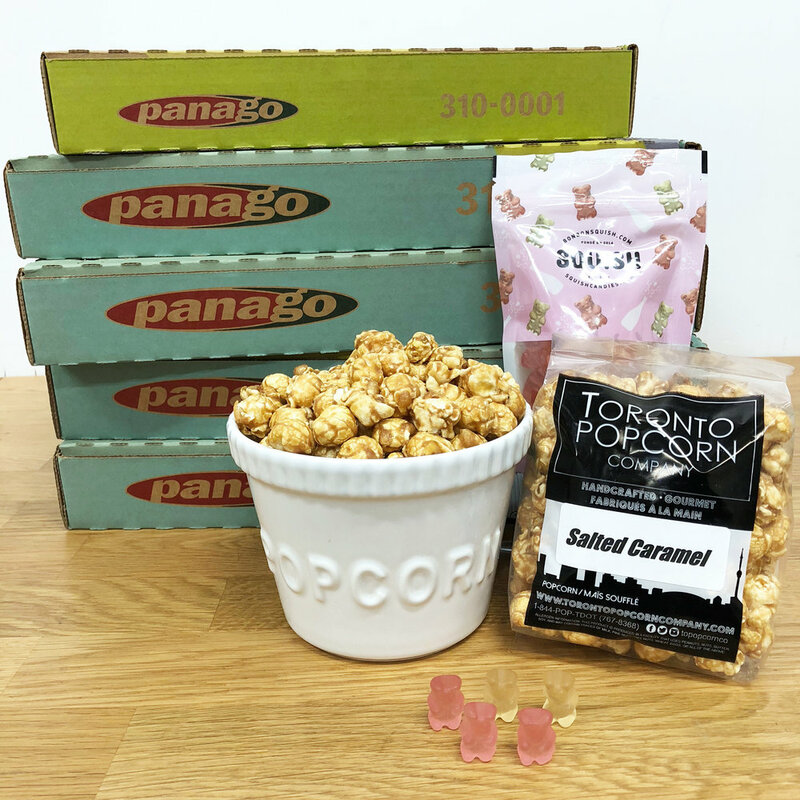 Fun Fact: Toronto Popcorn Company was founded locally by a husband-and-wife duo in Kensington Market. Shop or learn more here. 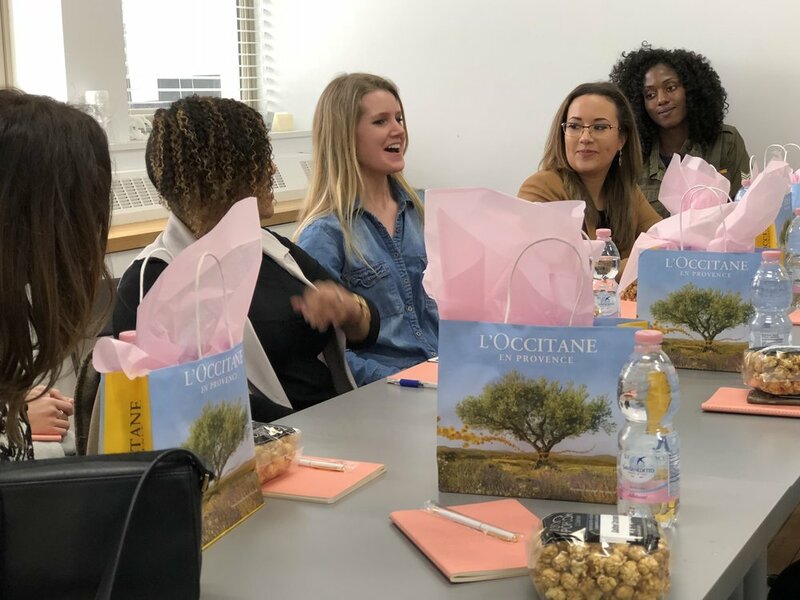 Attendees of the MASTERCLASS were also provided with a special anniversary gift bag from L’Occitane. The gift bag contained deluxe samples of L’Occitane’s Cherry Blossom body duo and hand cream. The collection combines the delicate scent of cherry blossoms with nourishing ingredients like shea butter and rosemary leaf extract. Luxurious bonus: it is made in France. You can shop the collection online or find a local boutique here. A special thanks also to BumbleBizz for providing us with notebooks and pens. Want to join us at the next MASTERCLASS? Be sure to follow us on Instagram and turn your notifications on to be the first to know when registration is open. As we mark the second year of Curated Life magazine, I am filled with gratitude. I would like to send a special thank you to all our contributors, masterclass speakers and sponsors throughout the year. Our success would not be possible without the gift of your talents and time. A special thanks also to Magazines Canada for recognizing our publication at the 2017 Mag Grand Prix and showcasing our success story earlier this month. It is truly an honour to be so warmly welcomed into Canada’s magazine industry. When I started this project, I could not imagine what it has now become. Curated Life Magazine is more than just paper. Our magazine is a community, an experience and a living document. Throughout these pages you will find the stories of #bossbabes like you – their struggles, triumphs, strategies and reflections. Stories that I hope inspire you to follow your own dreams and empower you to curate a life that fulfills your purpose. This is empowered lifestyle. You’ll find that we write about facials on one page and finances on the next. This is because I believe a woman is best empowered when she is economically empowered. As millennial women, we want you to be truly confident from within; moving forward in the direction of your dreams. That’s why there is a strong emphasis on building entrepreneurial skills throughout Curated Life’s editorial and events. 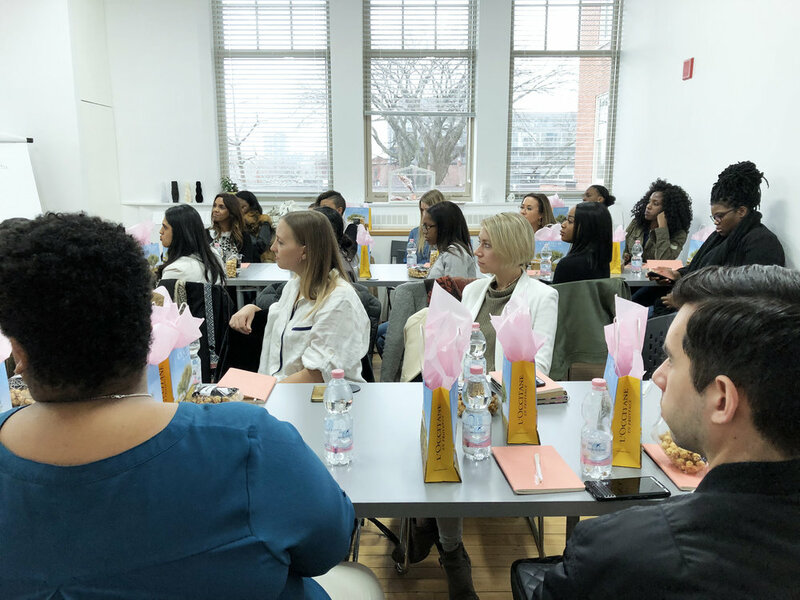 As an extension of our power + influence issue, we hosted our second-annual panel event called “She’s the Boss: Empowering Women Through Entrepreneurship”. 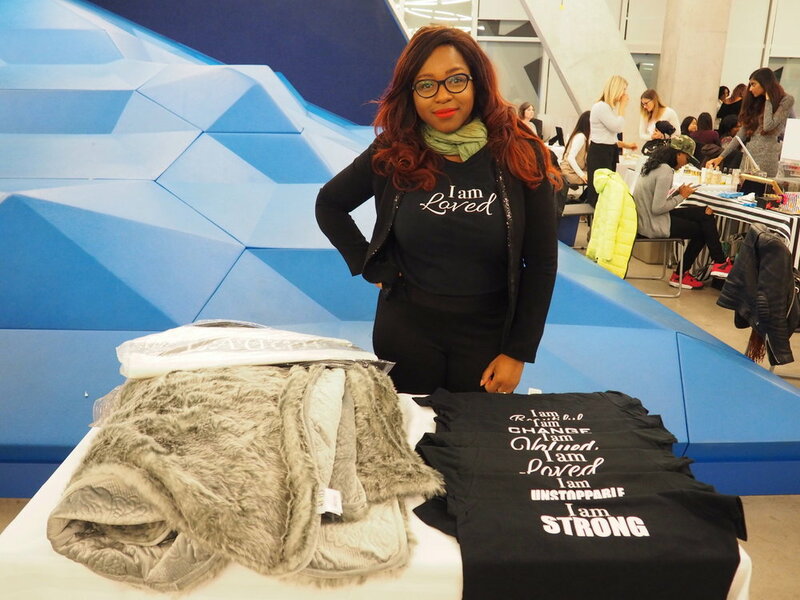 The event celebrated Toronto-based, millennial women entrepreneurs as we marked Global Entrepreneurship Week, Women’s Entrepreneurship Day and Curated Life magazine’s 2nd anniversary. The panelists who took part in the discussion were Jessica Ching (co-founder of Eve Medical), Janelle Hinds (founder of Helping Hands App), Brittny Skylar Robins (founder and CEO of Flawless by Friday) and Lisa Zamparo (Chartered Professional Accountant). Each panelist is a Toronto-based, millennial woman entrepreneur with an inspirational start-up story and a mission to empower women. In today’s political climate, there is a lot of discussion about women’s empowerment and women’s rights - from equal pay to birth control access. We discussed how entrepreneurship fits into the equation as a tool for women’s empowerment and how women’s empowerment can be incorporated into ones’ business practice. We also discussed challenges and opportunities for young women entrepreneurs. We also discussed what should be done at a macro or micro level to provide better opportunities for woman entrepreneurs. The event took place at Sandbox by DMZ in Toronto, Canada. 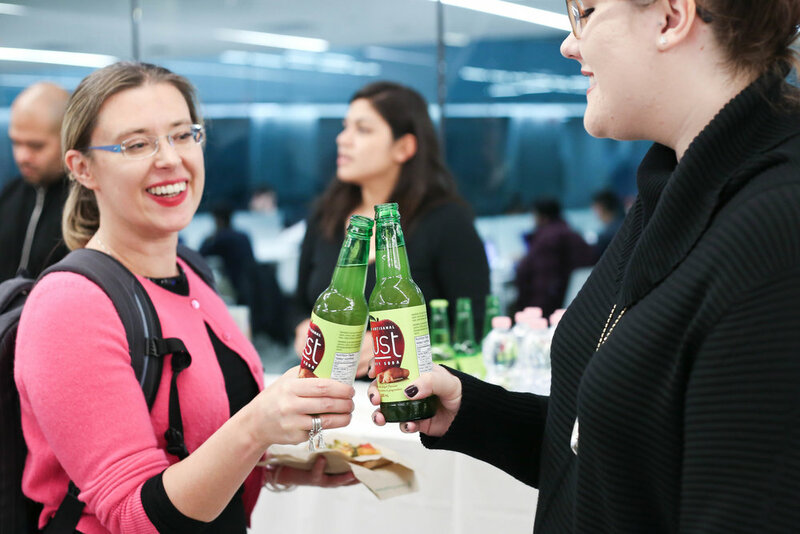 Guests enjoyed refreshments courtesy of Panago Pizza and Just Craft Soda. Entertainment was provided by Nora Tones courtesy of the 194 Group. Registered guests also enjoyed access to this issue’s gift bag. Our November 2017 gift bag featured #bossbabe essentials that pair well with this issue. Bonus: many of these brands are Canadian and/or women-founded. Event attendees were also treated to print copies of Curated Life Magazine Issue 4. You can now access the digital version of this issue for free by clicking the link below. If you are interested in attending one of our events, be sure to follow us on Instagram @curatedlifeca to be the first to see our event announcements. Our signature MASTERCLASS series will resume January 2018. It’s a new season. This time of year has always been a symbol of renewal and hope. We find ourselves dreaming more and doing practical things like cleaning and reorganizing. For example, when I decided to live a “curated life,” one of the first things I did was overhaul my closet. This simple act, made me realize that I could no longer hold on to the past and a stagnant life. I craved change and entrepreneurship brought me that change. In my experience, entrepreneurship is similar to a metamorphosis. Dr. Maya Angelou wrote, "We delight in the beauty of the butterfly, but rarely admit the changes it has gone through to achieve that beauty." And I find these words to be so true. We all know entrepreneurship isn’t easy. It takes confidence to pursue the opportunities we dream of and even more courage to create these opportunities for ourselves. When I launched Curated Life, I chose to fulfill the one of my biggest but least-likely-to-come-true dreams. It was intimidating because I had no industry connections and most of my career was spent in a completely different sector. I was so afraid of failing. But with every event and every issue of Curated Life, boss babes like you have shared similar experiences. We’ve all had to overcome our fears and focus on the love we have for our budding businesses. We have to learn to be confident and move forward in the direction of our goals. 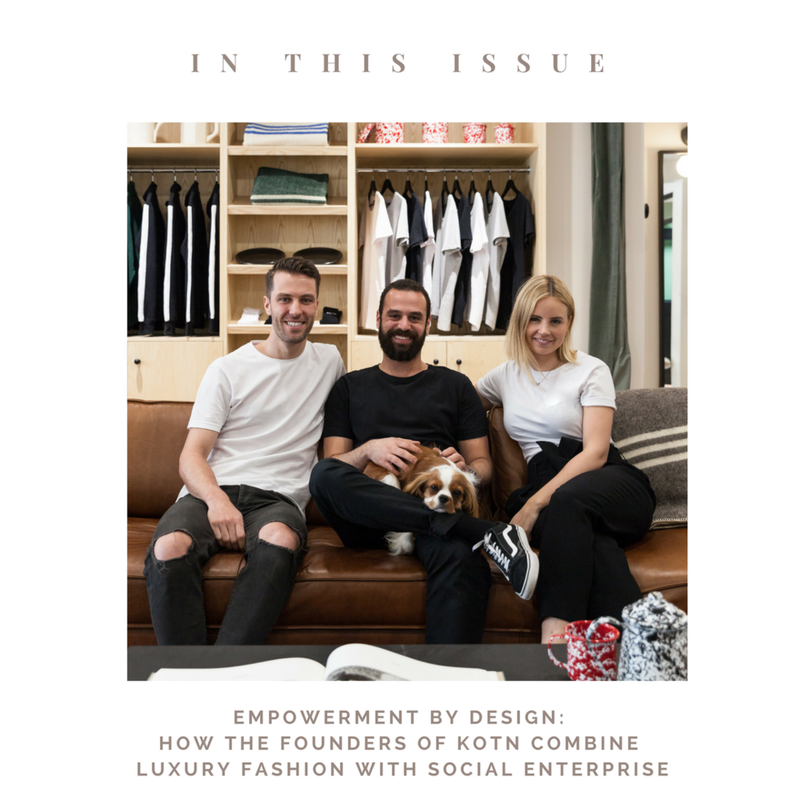 In this issue, you will learn about the importance of self-confidence, building a brilliant brand and strategies for funding your own start-up. 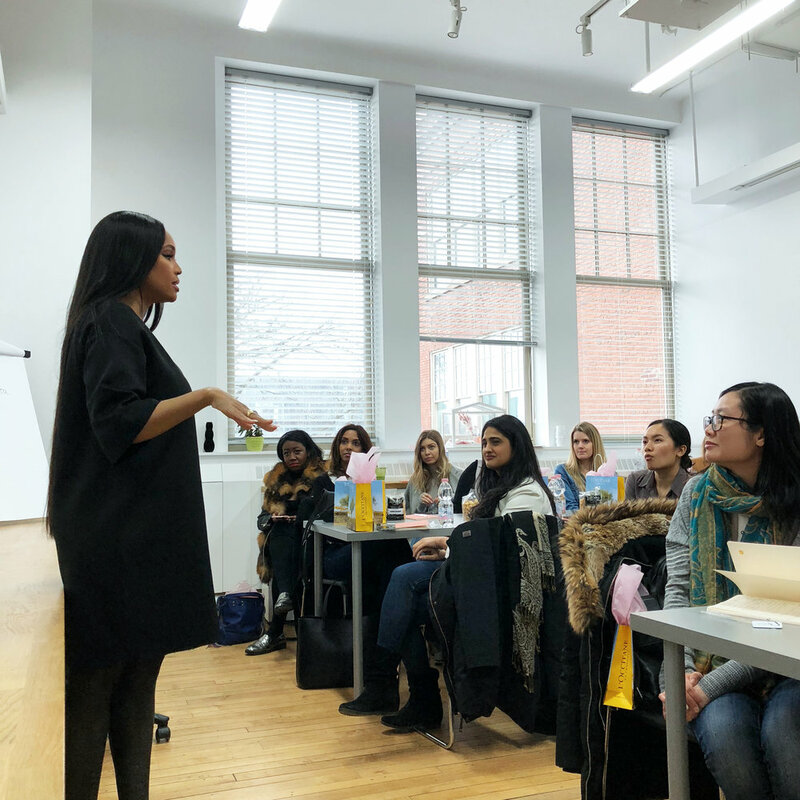 You’ll be introduced to boss babes from across Canada and have an insider’s look at our MASTERCLASS events. It is my hope that this issue leaves you feeling more empowered and informed. You can download a free copy of issue 3 here. Grab a cup of tea, face mask and enjoy! Brittny Sklar Robins, founder of Flawless by Friday. Photo by Red Tumi Creative. Hi everyone, I hope you’re having a great summer so far. 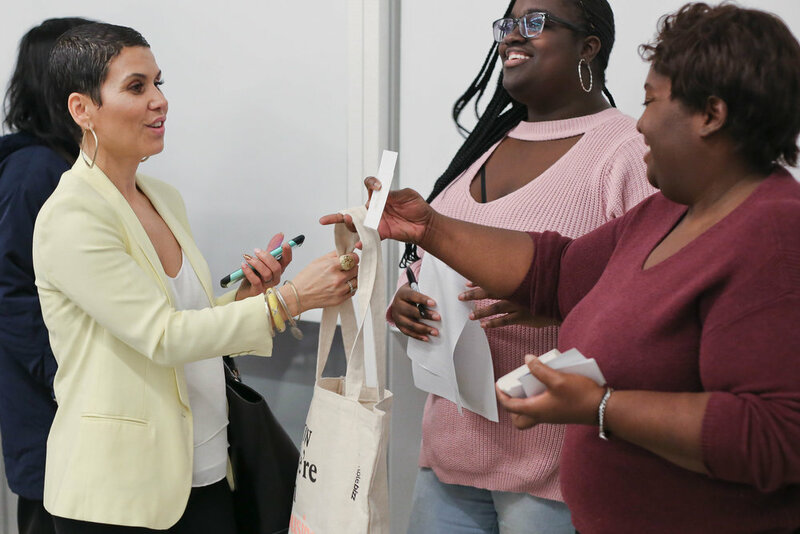 I’ve really enjoyed meeting you face-to-face at our spring and summer MASTERCLASSES. And I can’t wait to see you again in the fall. We’ve been really busy over the last few months developing some very special projects that I will be sharing with you over the next few months. Until then, here is a quick recap of our summer MASTERCLASS, which focused on ways to fund a start-up. We discussed the challenges we face securing capital as young entrepreneurs who may have student debt and little assets. Though overcoming these challenges may be difficult, it isn’t impossible. 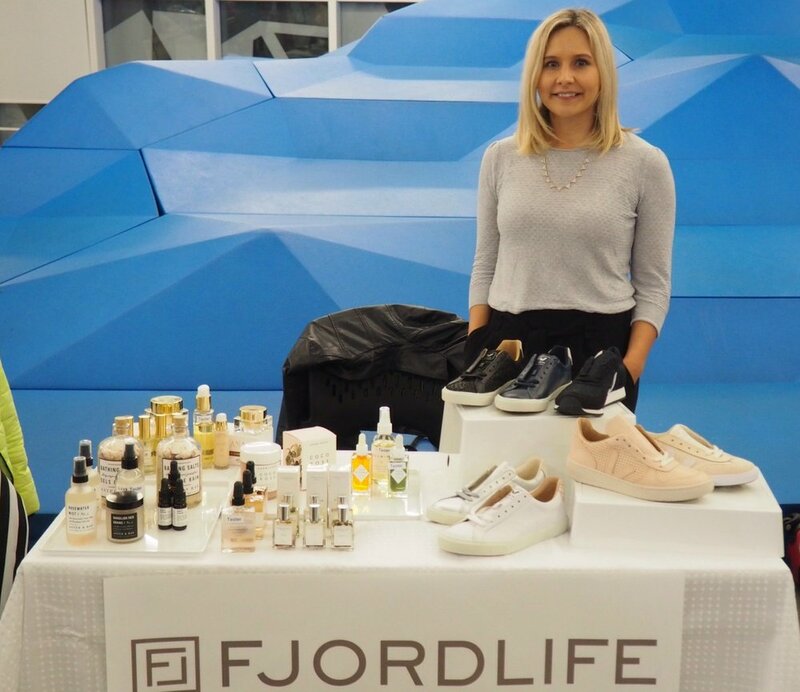 Our featured start-up story was that of Brittny Skylar Robins, the founder of Flawless by Friday. Growing up in rural Ontario as one of five sisters, Brittny was her family’s very own beauty expert. Moving to Toronto in her early-twenties, Brittny tapped into the concept of inner confidence shaping outer beauty through her work as a make-up artist. Brittny later desired to transform this concept into her own beauty brand. During the MASTERCLASS, Brittny shared her journey from starting her company with a $5000 loan from her parents to now approaching investors. Brittny also provided us with samples of Friday by Friday’s Flawless in 15 Under Eye Rescue and Facial Mask System. Made with honey and gold, these hydrogel masks provide a luxury facial in just 15 minutes. The masks are designed to sooth your skin, boost collagen production while decreasing puffiness and redness. Flawless in 15 is perfect for beauty on the go and one of our favourite new product discoveries. We’ve even featured Flawless in 15 in our Issue 3 editorial feature, “Carry on Beautiful”. If you are looking for a new facial system to try, #supportyourgirlgang and check out Brittny’s line here. Next we heard from our resident CPA, Lisa Zamparo. 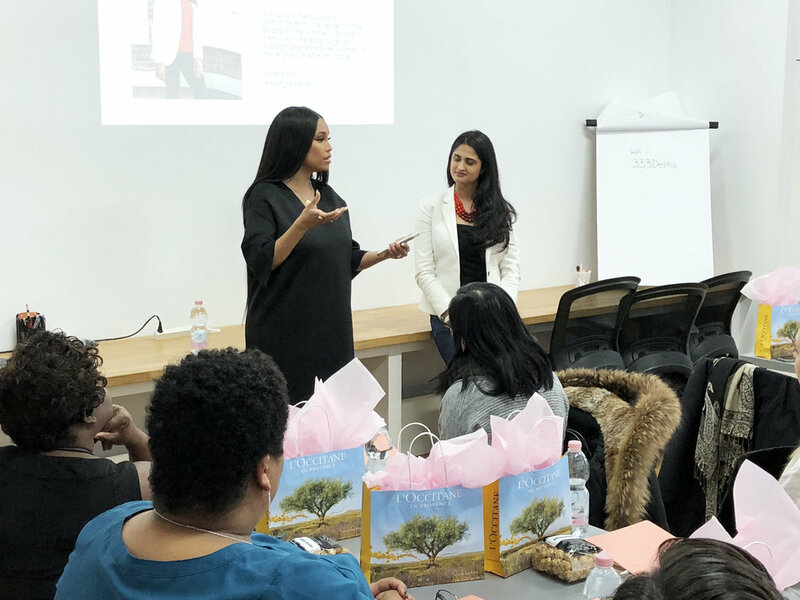 As our expert for the night, Lisa provided us with practical steps to “wellth,” by harnessing energy, money and confidence to build a business. In summary, Lisa’s advice was to know where you’re starting from (ask what do you own? What do you owe? What do you need?). Be your own venture capitalist by funding your business with a 9 to 5 job. Be credit worthy. And finally, start managing what you already have. Lisa suggests bookkeeping even when your business is small. Read more from Lisa in our magazine on pages 34-38. Finally, we learned about Ignite Capital’s upcoming business competition from Laura Gannon. Each year Ignite Capital invites emerging Ontario entrepreneurs who have limited access to capital, to compete for up to $25,000 in funding. The competition has four award categories: young entrepreneur, women entrepreneur, immigrant entrepreneur and the “start me up” category. To compete you will need to complete the application on their website. From there a short list of participants will be invited to pitch their business idea to a panel of judges. In addition to funding (which is a combination of a loan and grant), participants are also provided with business skills training. Applications for the competition are due September 10, 2017. Visit ignitecapital.ca for application details. If you are looking for more advice about ways to your start-up be sure, be sure to read “How to Fund Your Start Up” in the magazine (page 36), digital downloads are free and there is also the option to purchase a print. Also be sure to follow us on Instagram @curatedlifeca for our upcoming event announcement. Looking forward to seeing you soon. Enjoy the rest of the summer! As millennial women entrepreneurs, we often face challenges that are two-fold because we are both young and women. Generally these challenges include limited access to capital, financial literacy, business planning skills and confidence. At Curated Life, we’ve designed our signature MASTERCLASS series to specifically address these issues. 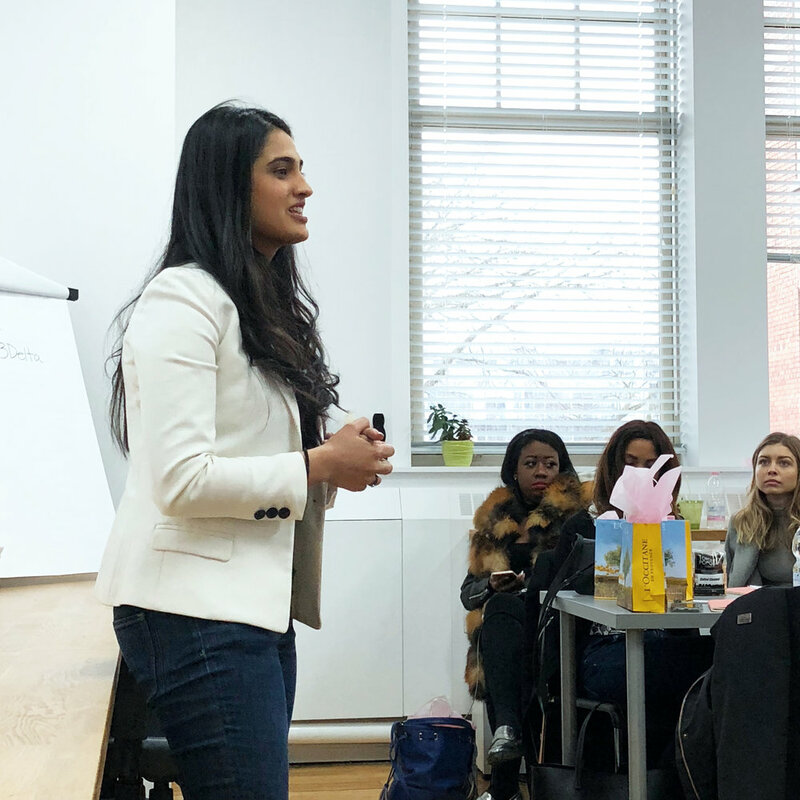 During this spring’s MASTERCLASS, we focused on confidence and how it impacts your business or personal brand (because as entrepreneurs they are one in the same). Our expert for the evening was Dr. Stacy Thomas, a clinical psychologist who specializes in helping people design their lives. Dr. Thomas is known for her approachable style and ability to translate research findings into practical strategies for everyday life. 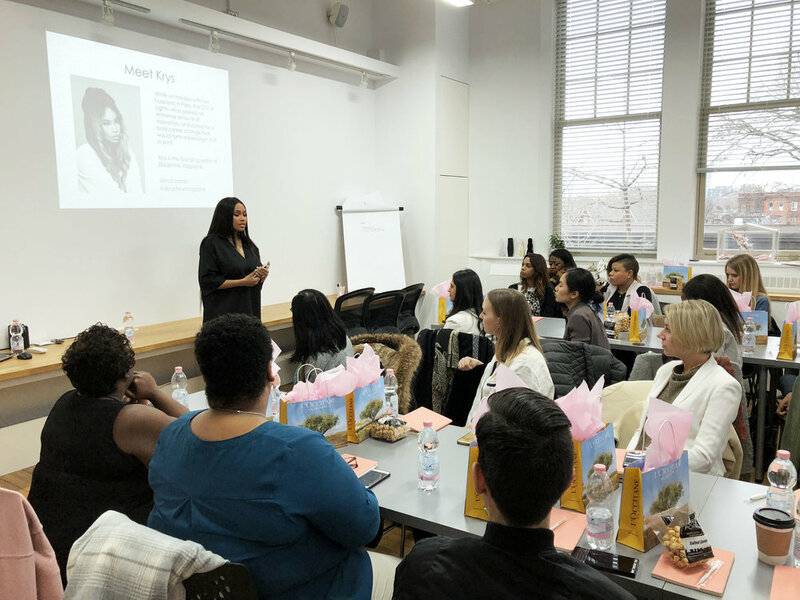 At the MASTERCLASS, Dr. Thomas taught us that “confidence is the intersection of belief, not just your belief about yourself but the belief of those around you.” We learned that fear and seeking perfection can impede confidence. But focusing on prioritizing our own voice and focusing on our mission can build confidence. Dr. Stacy led us through a discussion designed to challenge us to change fundamental assumptions about ourselves. We assessed ourselves, thinking about when we felt the most or the least confident, and why. From there we created a plan to take practical steps to boost our confidence. To help you along your journey, we’ve included a summary and worksheet on pages 13-15 of Curated Life Magazine Issue 3 You can also download a copy of Dr. Thomas’ resource sheet here. 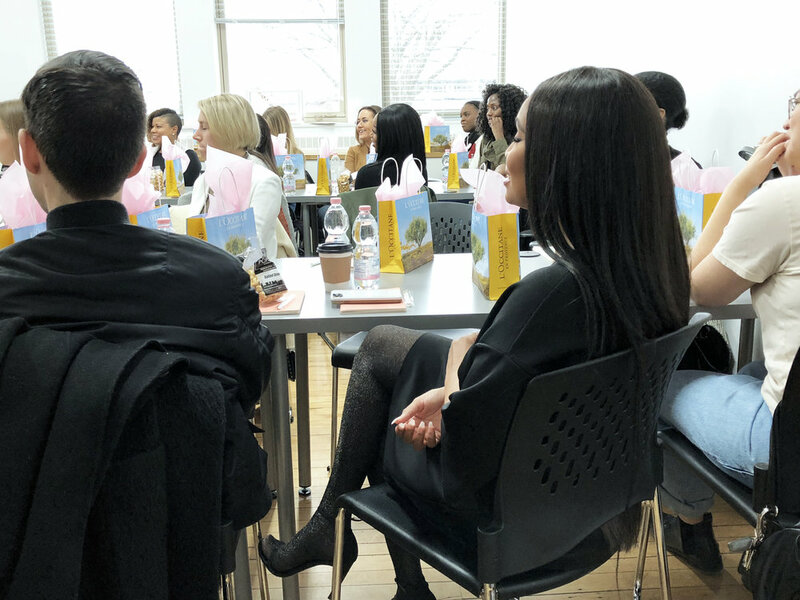 Our gift bags have become a must-have staple at our MASTERCLASS. This spring’s gift bag features beauty and health products that can help you look and feel confident. We would like to thank each of our in-kind sponsors below for their contribution. Got2B Volumaniac Bodifying Mousse & Hairspray: If the 90s are making a comeback, why not mousse? This mousse gives your hair extra body andaccompanying Volumaniac holding spray features 24 hour hold. Available at Shoppers Drug Mart. Schwarzkopf GLISS Oil Nutritive: Made with liquid keratin and 8 beauty oils, this hair system is designed to nourish your hair without weighing it down. Guests will receive the full-sized shampoo, conditioner and weightless oil spray. Available for $9.99CDN each at Shopper’s Drug Mart. Lipidol Overnight Facial Oil: Add this to your beauty routine to help nourish and rejuvenate your skin while you sleep. 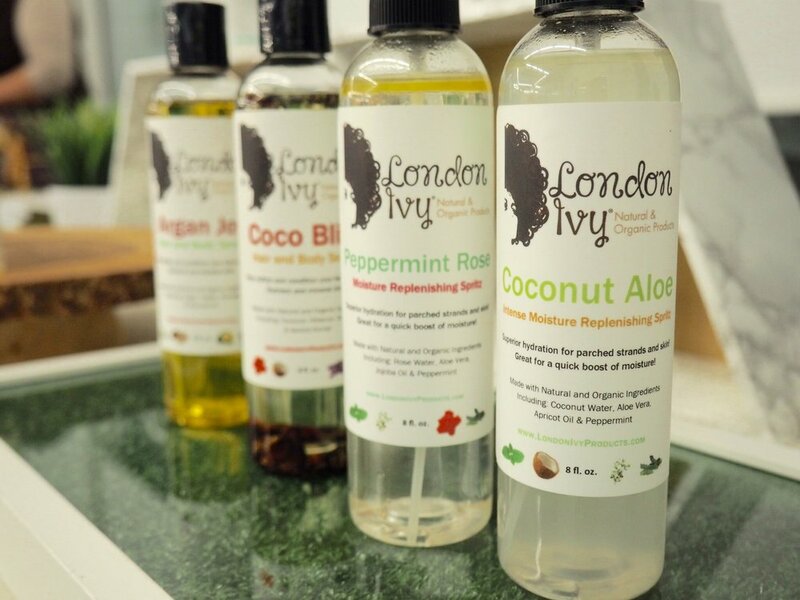 Made with Ylang-Ylang and Black Pepper essential oils, it is a luxurious but affordable way to replenish your skin. Available for $9.99CDN at Walmart. This year, our MASTERCLASS sessions will run bi-monthly from May to November. Be sure to join us for our next MASTERCLASS, July 7th, 2017 in Toronto, Canada. 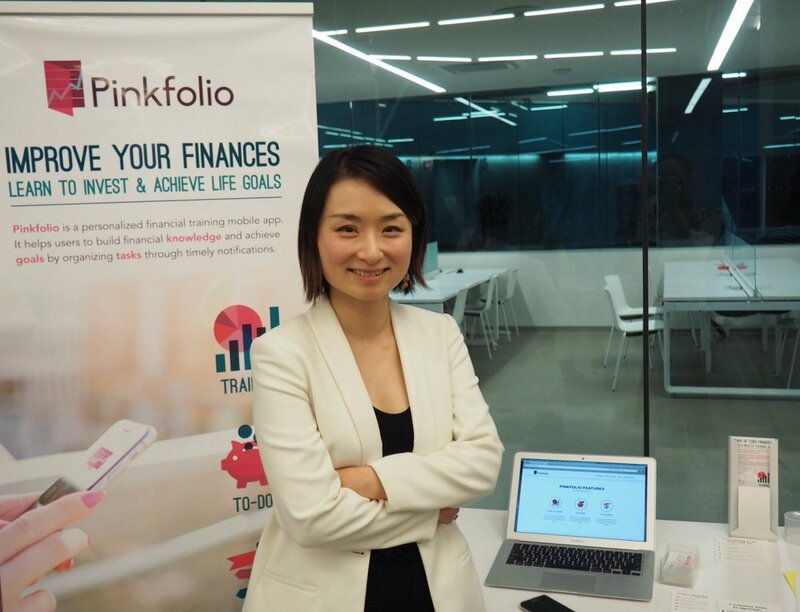 This MASTERCLASS will focus on financial planning for your personal life and business. The event will feature Charted Professional Accountant, Lisa Zamparo and Flawless by Friday founder, Brittny Skylar as our keynotes. Please register below. Our amazing panelists & MC. [left to right] Hayla Amini, Jade Janelle, Emily Antflick, Alyssa Bertram & Mary Young. Last year when I launched my Curated Life project, I chose to fulfill the one of my biggest but least-likely-to-come-true dreams. It was intimidating because I had no industry connections and not a lot of experience since most of my career was spent in a completely different sector. I was afraid of failing. But, every time I thought I should just quit and go back to my quiet, comfortable life there was always an encouraging word from a Curated Life follower or a sign that pushed me to keep going. Now that we’ve reached this one year milestone together, I can truly say the struggle was all worth it. On Friday, there was so much to celebrate. 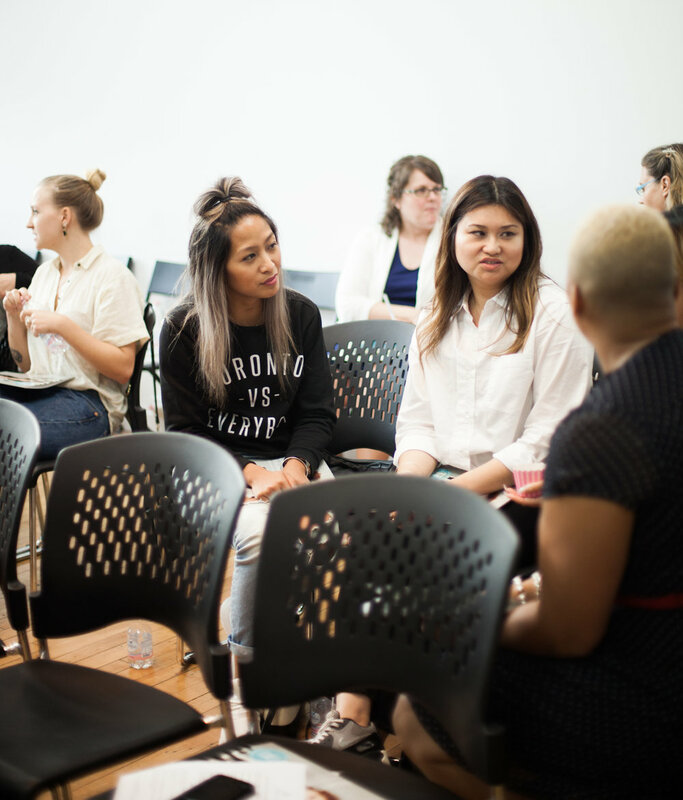 Within a year, we have built a community of millennial women entrepreneurs who support each other and connected them to community resources through 6 events (3 of which were at capacity). 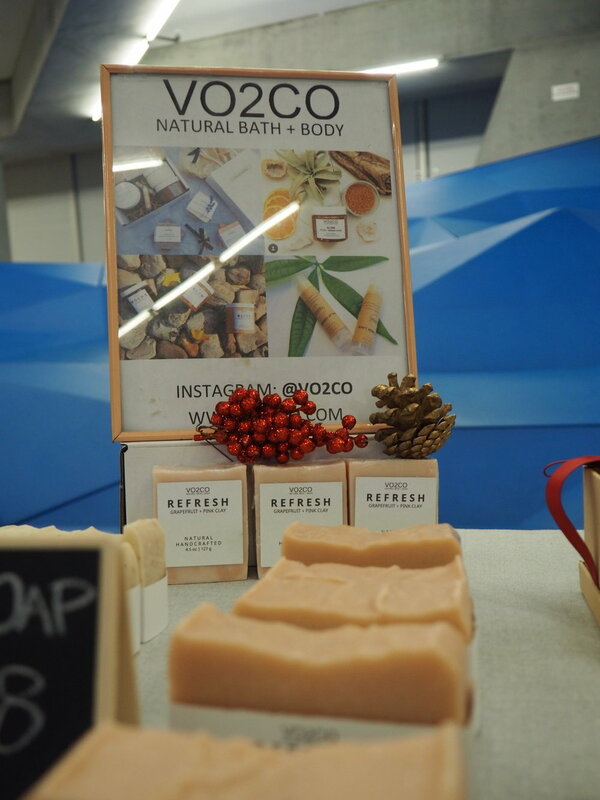 We built connections with Canadian and women-owned businesses through in-kind sponsorships of our gift bags that were distributed at each event. We also launched a print/digital magazine as a platform to further share the inspirational stories of these entrepreneurs. 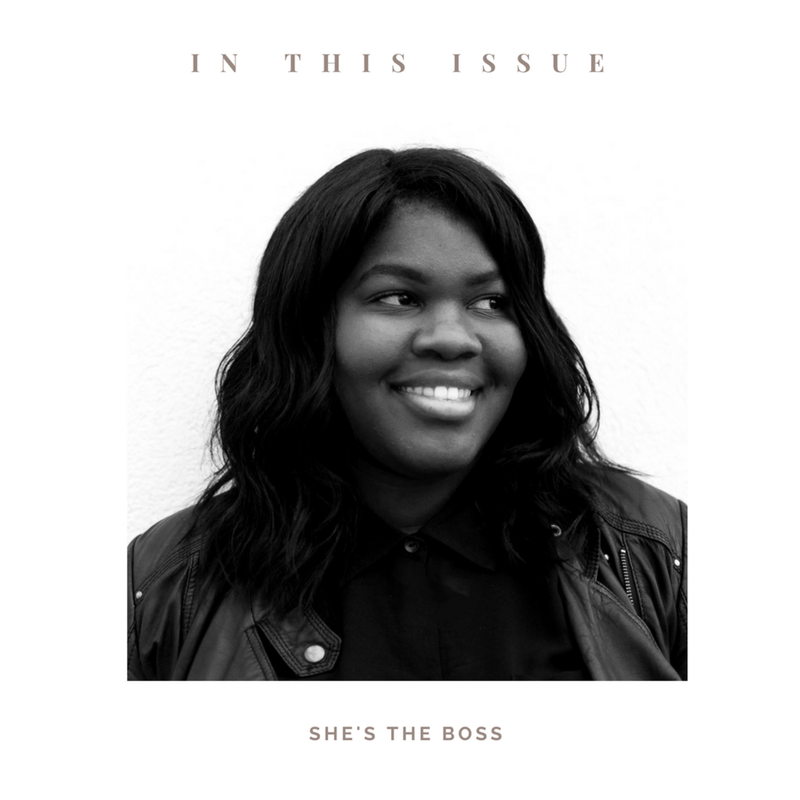 This November marks the launch of our second issue which features the story of Aurora James (founder of Brother Veilles), profiles of women who are using creativity to innovate and our Boss Babe gift guide by Veri Chic with Chy. (Side note: mail delivery/pick up for pre-orders will be arranged soon. 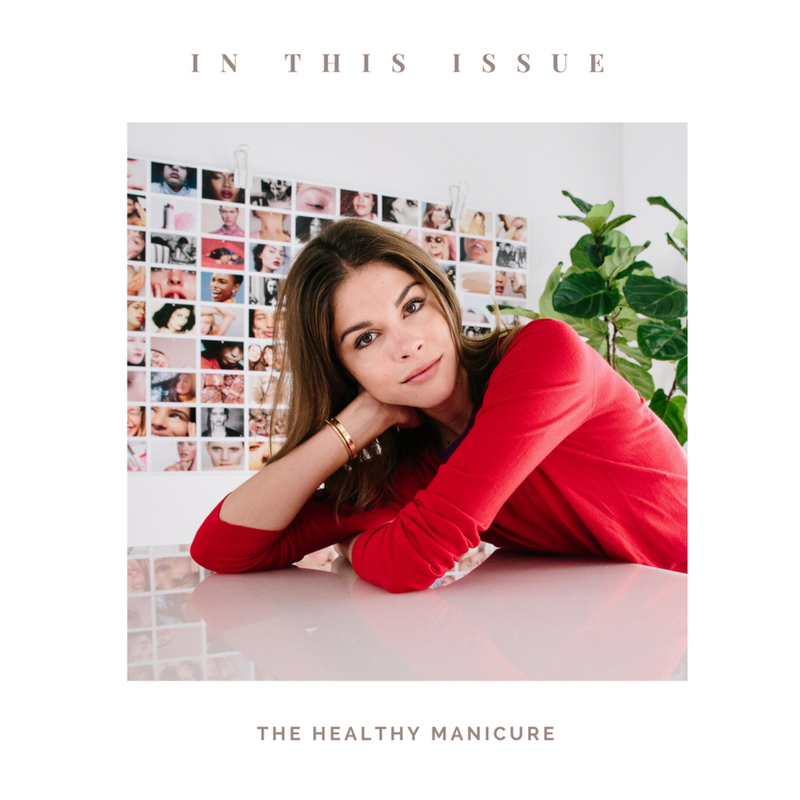 The issue will be available for sale on December 2nd). We were also celebrating the accomplishments of our amazing panelists. Mary Young, who was our first master class speaker and a contributor to our first issue, celebrated her first major collaborations with Apple Canada and the Peace Collective (And she’s so humble, I still remember how she helped us haul tables up a set of stairs at the first class). 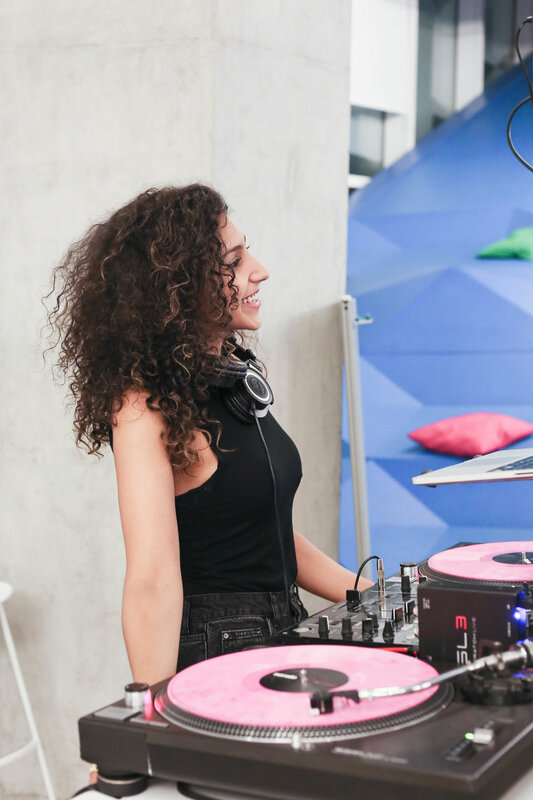 Hayla Amini, one of our very first gift bag sponsors, celebrated a successfully transitioning Flashionistas from a retail business to a provider of event activations and collaboration with TOPSHOP for the Bobbyball. 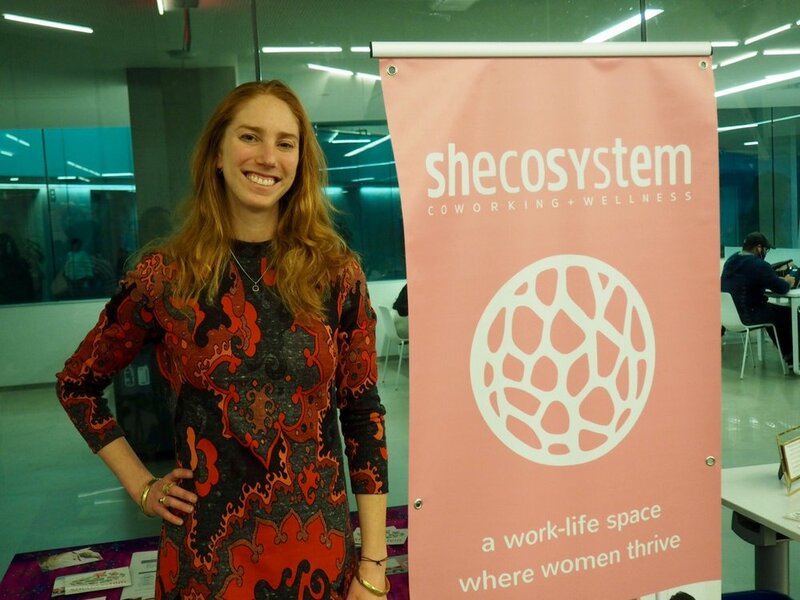 Emily Antflick, our July master class speaker, celebrated the launch of Shecosystem’s new space and receiving a Start Up Canada grant. 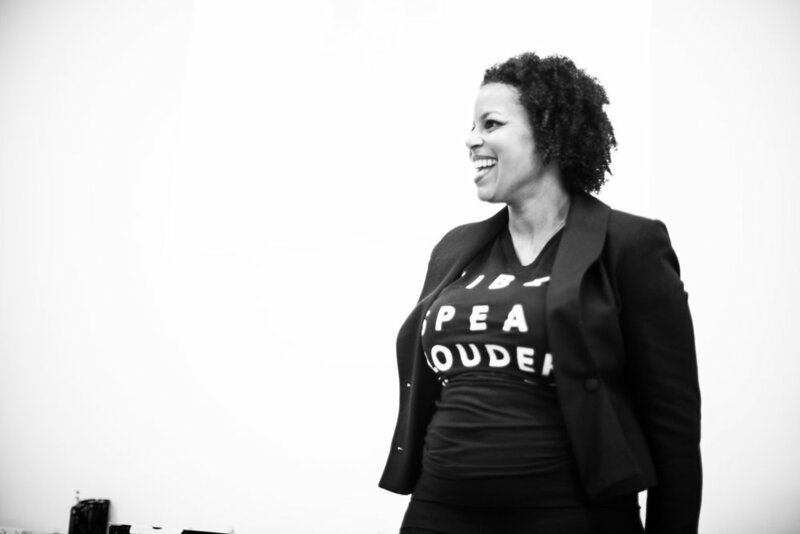 And Alyssa Bertram, our September master class speaker, celebrated two successful brand events and transitioning easy. from a part-time to a full-time business. With over 90 guests in attendance, this was our biggest event yet! 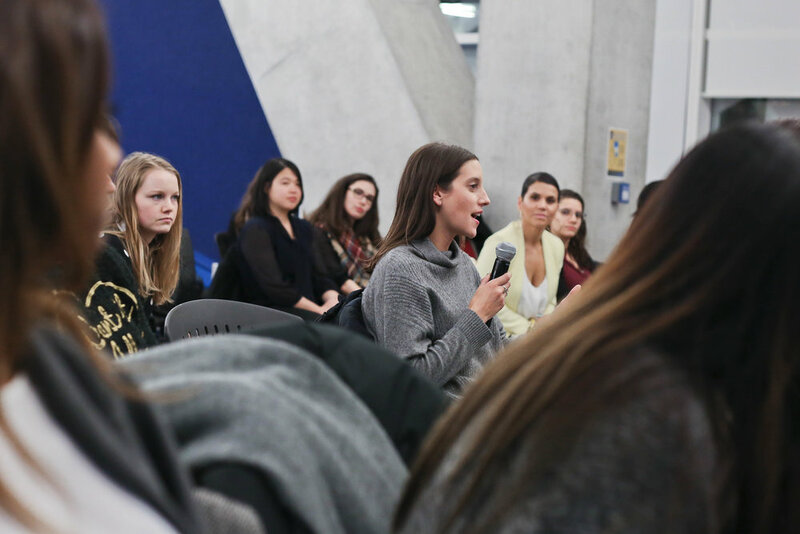 Our panel discussion was led by Miranda McKie, President of Young Women in Business-Toronto chapter. Miranda is a Master Data Governance Professional by day, but also believes in the importance of breaking down barriers for women and helping them succeed in their careers through her work with YWiB. The panelist discussed what ignited the spark to start their own businesses and what keeps them motivated. We also discussed if there is or isn’t a formula to becoming a successful entrepreneur. As well as challenges specific to being a young woman entrepreneur and how they overcame these challenges. Blogger, Jade Janelle provided her voice as our MC for the rest of the evening. In addition to the panel, we had a brief presentation from a new project called askconnie.co, which will be showcasing the best local businesses in Toronto over the next few months. And heard the start-up story of Shiva Burnett, co-founder of Avazera. As one of our first gift bag sponsors last November, Avazera has always been supportive of our mission to empower young women. 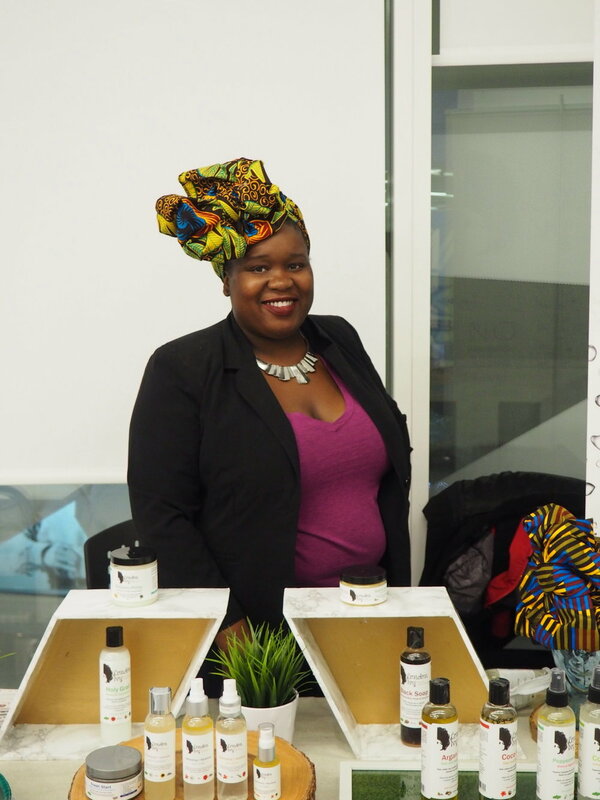 This year, Avazera was not only a vendor at our event, but also a patron of the second issue of Curated Life magazine (along with Dr. Liza Egbogah of the[fix] chiropractic+massage). And a special thanks goes out to Chyauna, verichicwithchy.com, who sponsored our DJ for the night, SoWaveyy Sound (@sowaveyy). Founded in 2012, Barreworks was the first Toronto studio to specialize in ballet barre-based fitness classes. Their technique was developed by a team of local dance and fitness professionals, all dedicated to the creation of a safe, effective, and fun exercise system. With two locations, and classes 7-days a week, they're ready to welcome you to class! You can read more about Barreworks in the winter issue of the magazine. A great addition to your nightly beauty regime, this nourishing oil works while you sleep. It’s designed to supplement the skin’s natural oily layer, increase moisture retention and enhance overnight rejuvenation. Lightly fragranced with essential oils of Ylang-Ylang and Black Pepper, Lipidol’s overnight face oil is non-comedogenic and suitable for sensitive skin. Makeup doesn’t have to be complicated. You can keep it simple and still enhance your natural beauty. The Joe Fresh Beauty line is filled with products to help you master the 5-minute face without breaking the bank. Now at Shoppers Drug Mart, Joe Fresh offers a great selection of on-trend beauty products, like this pretty plum eyeshadow. Adding a bit more luxury our gift bags is this Marc Jacobs fragrance trio. This family of floral fragrances is fresh and feminine. The trio includes Marc Jacob’s signature scent Daisy as well as two other interpretations- Daisy Eau so Fresh and Daisy Dream. Guests received a 1.2ml sample coffret with all three fragrances. Pur Gum is all the goodness gum should be – vegan, nut/soy-free, gluten-free, and aspartame-free. Pur Gum is naturally sweetened with xylitol, a sweetener with a low glycemic index. What makes Pur even sweeter? The company is Canadian-owned. Guests also received an offer of $10 to use on the online shop (coupon). SweetSpot Labs is on a mission to refresh every woman’s shower routine and daily cleansing rituals. SweetSpot Labs recently launched a new collection of natural washes and wipes that are pH balanced for your sweet spot and good for your entire body. SweetSpot Labs products are made by women, for women and use natural ingredients to gently clean, hydrate and soften skin. Guests received a sample of the wipettes with a coupon. Our panelists received an assortment of full-sized products. Tealeaves is a Vancouver-based, luxury tea company. Each guest will receive the carry on essential, Jet Lag Therapy kit which contains two masterblend teas – Energy and Relax. Energy is an invigorating blend of mint, citrus, yerba maté and ginkgo biloba to help keep you focused. And Relax is a floral, caffeine-free blend to help you ease into a peaceful sleep. Because I am familiar with the social determinants of health, I truly believe that a woman is best empowered when she is economically empowered. That is why there is a strong emphasis on women’s entrepreneurship throughout each Curated Life project. 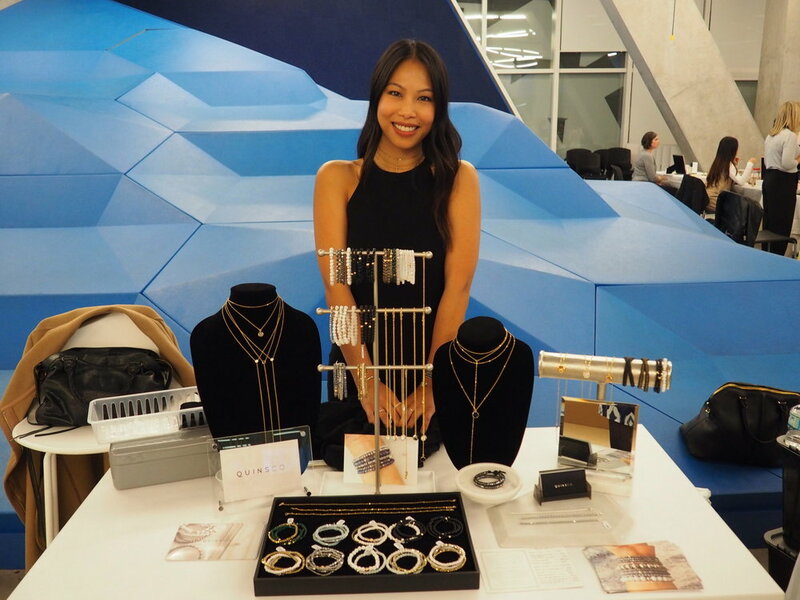 So there was no better way to celebrate our one-year market then with a pop-up market. We were so pleased to have this diverse group of vendors and are looking forward to hosting more pop-ups in the future. Please be sure to check these vendors out and support them by making a purchase if you can. I’m looking forward to giving you a look into our winter issue shortly. But for now, enjoy our cover reveal below. Thank you again for all the support. Be sure to follow us on Instagram @curatedlifeca / #mycuratedlife to stay up-to-date on our events and publication projects. We are celebrating one year of Curated Life. Curated Life is about living an empowered lifestyle. 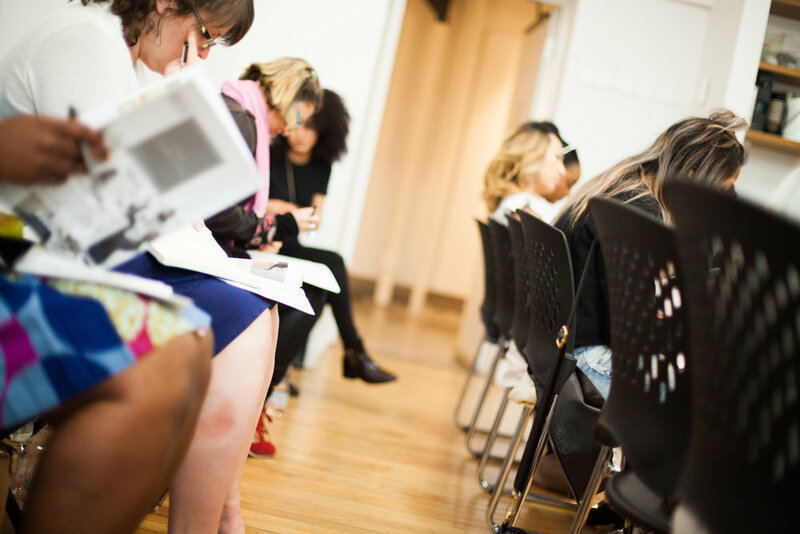 We host master classes for millennial women entrepreneurs and publish a semi-annual magazine. Our year end event will be held at Ryerson University's Launch Zone on Friday, November 25th at 55:30PM. The event will feature a panel discussion by our master teachers, Mary Young (Mary Young), Alyssa Bertram (Easy Period), Hayla Amni (Flashionistas) and Emily Antflick (Shecosystem). The panel will be moderated by Miranda McKie (Young Women in Business - Toronto) and the rest of the evening will be hosted by blogger, Jade Janelle. The event will also feature a pop-up market and musical entertainment. VIP guests will enjoy light refreshments and a curated gift bag. A limited number of print magazines will also be available to early-bird ticket holders. 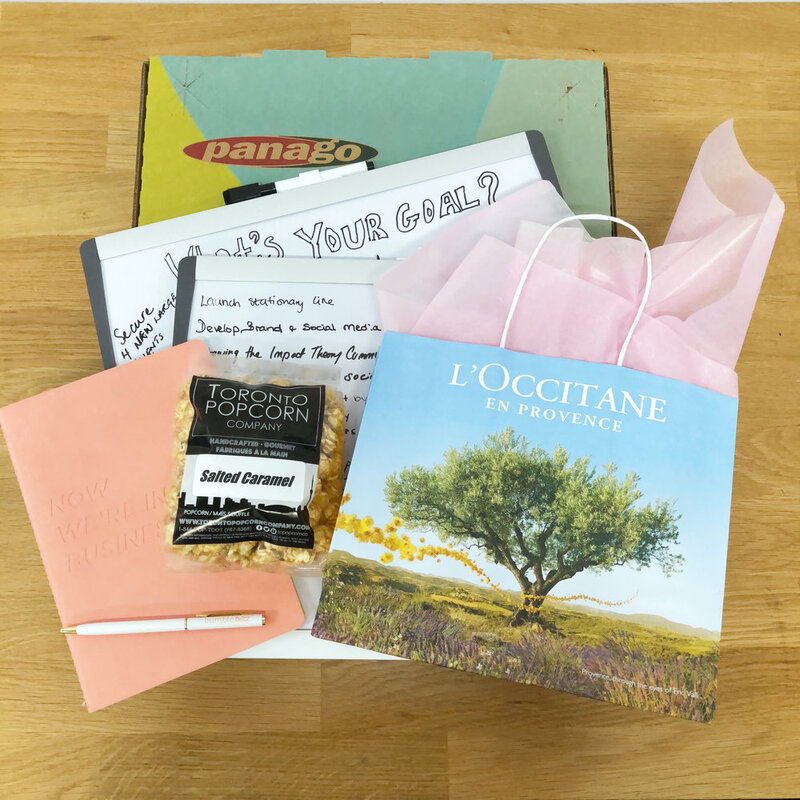 The curated gift bag includes items from Joe Fresh Beauty, Marc Jacob fragrances, Pur Gum, Barreworks, Tealeaves, Lipidol and Sweet Spot Labs. We would also like to acknowledge our patrons, The[fix] and Avazera. General admission is free and open to all!